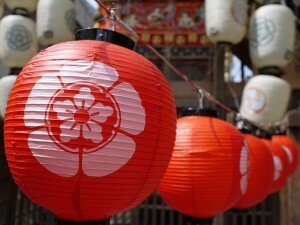 Lantern (chou-chin) is a traditional structure made of thin bamboo frames and wrapped in paper. The structure is elastic and a candle is placed at the bottom as a source of light. Recently more electric lanterns have emerged in the market. The paper wrapping of the chou-chin reflects the light source, to guide pedestrians at night. In the olden days chou-chin were carried as a flashlight, but has lost its place in daily life apart from festivals. 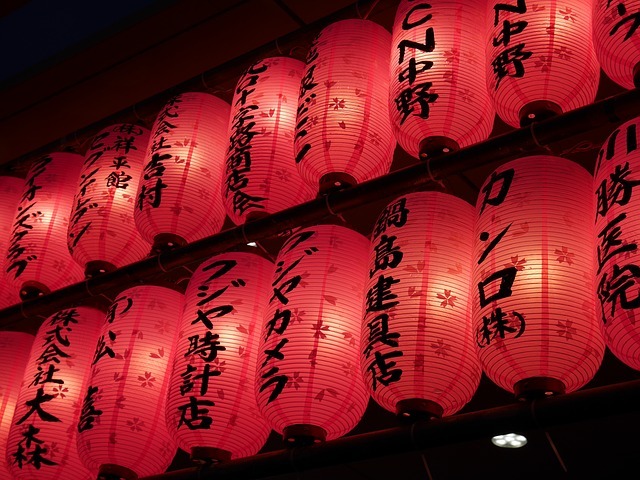 In recent years, the bamboo frame and paper wrapping have been replaced by plastic sheets, the candles by electric bulbs, and is used frequently at events and as advertisement. They are also sold as interior decor or souvenirs. Various activities have been carried out as part of governmental policy, to raise the self-sufficiency of chouchin makers. However, the rise of capitalism has led to limitations in these policies as displayed by the increase in fraudulent copies of artisanal work. The retail shop knows the supplier, but the buyer does not. To account for this break in information, we emphasize participation only from honest and trusted partners. So in effect, the chouchins symbolize the storekeepers’ spirit in putting its customers first. Would you like to customize your very own chouchin? Karuta is a game to enjoy together over the New Year holidays. Nori (Seaweed) | Delicious black paper! ?